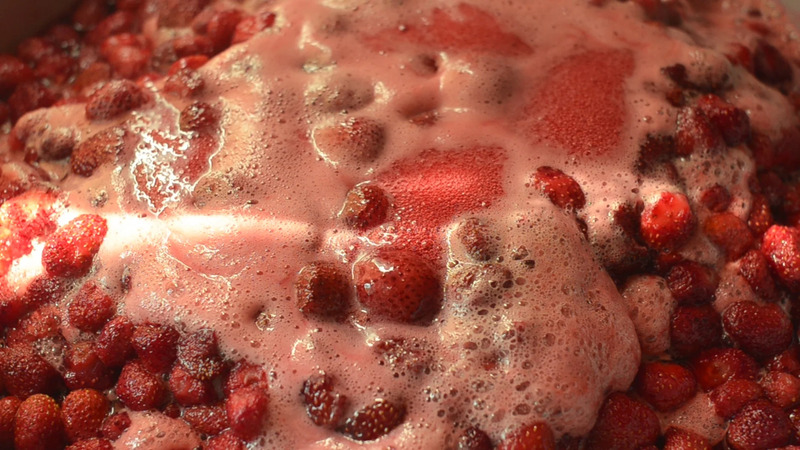 Closeup Shot Of Cooking Delicious Strawberry Jam. Description: Closeup of cooking delicious strawberry jam. Pan shot.